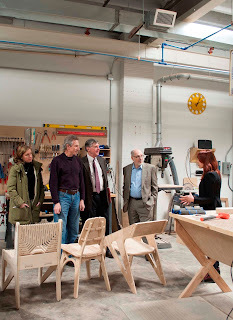 A recently launched collaboration between the Delaware College of Art and Design (DCAD) and NextFab makerspaces aims to enhance DCAD’s programs of study, increase NextFab’s footprint on Wilmington’s Creative District and further the redevelopment of the city's downtown. DCAD, the Mid-Atlantic Region’s only two-year professional art and design college, offers the associate of fine arts degree in animation, fine arts, graphic design, illustration and photography and has served as an anchor institution in the revitalization of Wilmington since its founding in 1997. NextFab, which has three locations in the Mid-Atlantic, provides access to tools, technology, training, events, consulting and capital for creatives of any skill level. The first phase of the partnership, already under way, provides NextFab memberships to all DCAD faculty to help them develop ways of integrating the latest in traditional and digital technology and artistic innovation into DCAD’s curricula while furthering their own development as artists. Subsequent phases will include field trips to NextFab for students to use the state‐of‐the‐art equipment, software and instruction for class assignments and provision of NextFab memberships to all degree-program students for use in completing coursework and for creating extracurricular art and design projects. DCAD President John Hawkins noted that today’s creatives are highly multi-disciplinary – experts in one or two mediums yet familiar with and possessing a facility with many others. The NextFab collaboration increases DCAD’s ability to further student development in this direction while also giving students the chance to work in an environment characteristic of a contemporary art and design practice; gain exposure to new and evolving mediums and technologies; and connect with a wider network of professional artists and designers. According to NextFab sales and marketing director Eric Kaplan, the makerspace is eager to play this role. 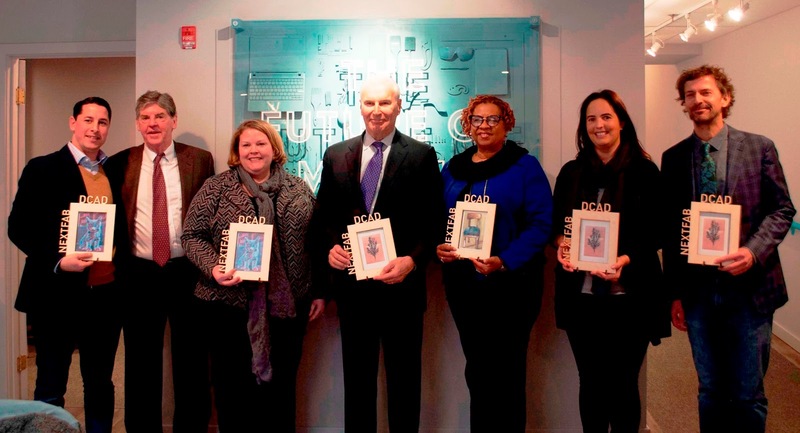 Mayor Michael Purzycki and managing director Carrie W. Gray of the Wilmington Renaissance Corp./Creative District Wilmington recently joined DCAD and NextFab representatives to officially celebrate the launch of the partnership. The event held at NextFab’s Wilmington headquarters including tours of the site and souvenir picture frames designed and crafted by NextFab and filled with artwork created by DCAD students.